For most college students, walking across campus is an afterthought — a means to an end. That's harder to do when the very campus you're on is a reminder of a dark past in the nation's history. The University of Minnesota Morris is located on land that was once an Indian boarding school. These were schools built around the country that housed young Native American children who were sometimes stolen from their parents. There, they were taught, basically, how to be white. Forget all those cultural and spiritual things you knew from growing up Native. The mantra: "Kill the Indian ... and save the man." A group of between 20 to 30 current Native American students who attend Morris gathered on campus on April 11 and invited MPR News to listen to their talking circle. Talking circles are often used to allow participants the freedom to express themselves. The students were interested in sharing their stories with the rest of Minnesota. The more than hour-long conversation, through the campus's Native American Student Success program, was wide-ranging as students discussed their experience with higher education, especially at a campus like Morris. • Is it any wonder why Native American students have lower school performance when their history is tied to institutions of education that wanted them to leave their identity behind? • If the only school you know is one that made you cut your hair and learn English and never see your parents, would you want your kids or grandkids to go there? • History is very close in the rearview mirror. Those boarding schools are recent enough that current students at Morris have relatives who were in such a school. 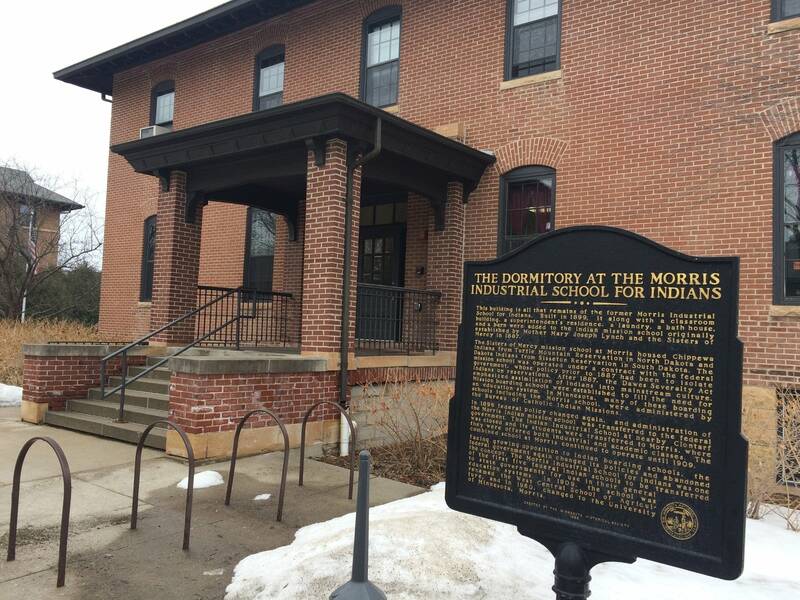 In fact, one of the original boarding school dormitory buildings is still used on the current Morris campus as the multi-ethnic resource center. "My grandfather was someone who was taken away from his family and went to boarding school when he was, I think, he was 5," noted Demi, a senior from Sisseton, S.D. and a member of the Sisseton Wahpeton Oyate tribe. "So I find it really profound that one of his granddaughters is graduating from a college that used to be a boarding school, and I think that's really powerful. I always get overwhelmed." 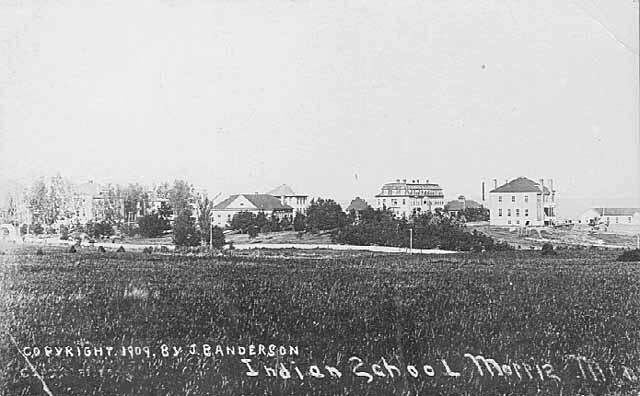 When the land in Morris was transferred to the state of Minnesota, one requirement was that Native students would not have to pay tuition at whatever school existed there in the future. An agriculture school existed there before the University of Minnesota system took over in 1960. The tuition waiver, which is written into state law, is believed to be just one of two waivers in the country for Native American students at a non-tribal college. The other is Fort Lewis College in Colorado. 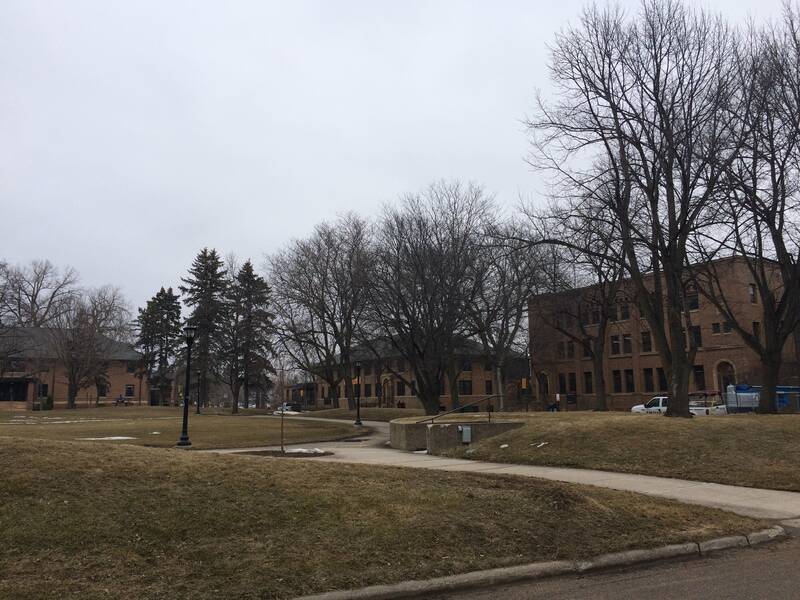 The waiver is one reason why the Morris campus, with about 1,800 students, is the most racially diverse campus in the University of Minnesota system. About 20 percent of its student body is Native American, which compares to about 1 to 2 percent at most other non-tribal campuses in the U.S.
(Correction: April 25) The audio incorrectly states that the Sisters of Mercy transferred ownership of the school to the state. The United States Bureau of the Interior first took over the school from the Sisters of Mercy in 1897, then transferred the ownership of the school to the state. Tom Weber, a reporter and host at MPR News for a decade, resigned effective June 22, 2018.